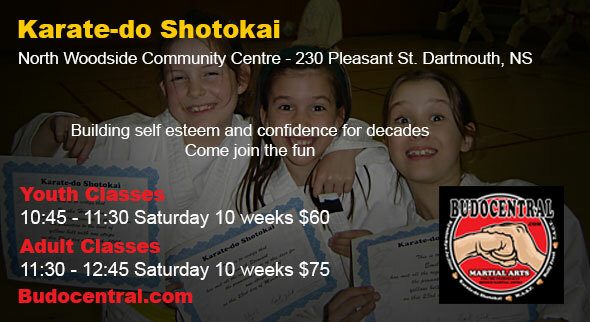 Karate-do Shotokai is a non-competitive form of karate in Dartmouth – Halifax Nova Scotia. Rather than winning tournaments, the emphasis is on mental and physical development through the study and practice of the art. 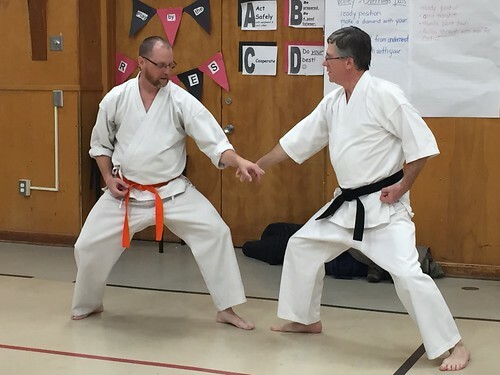 Movements in Shotokai are generally flowing and full of vitality and energy, while always applying the principles of harmony and relaxation and avoiding the use of brute force. This contrasts with sports martial arts, where young, strong and aggressive students seem to dominate. 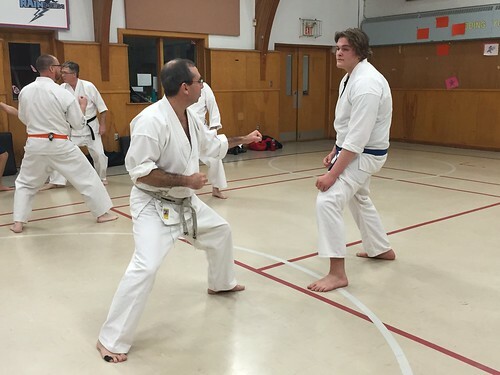 The practice of Shotokai is physically and mentally challenging but it is a martial art that everyone can enjoy regardless of age or fitness level. Balance, fitness, coordination, concentration, self-discipline and a higher state of awareness are just a few of the benefits of Shotokai. 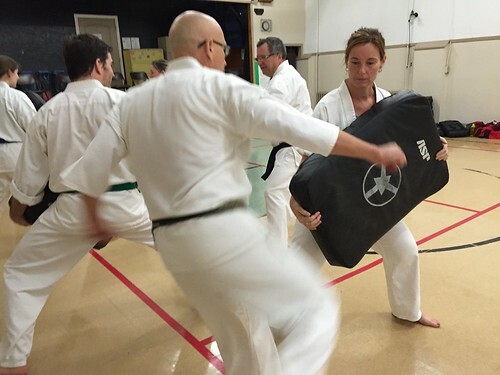 Come to one of our clubs, chat with an instructor and see for yourself that this style of martial art is for everyone. 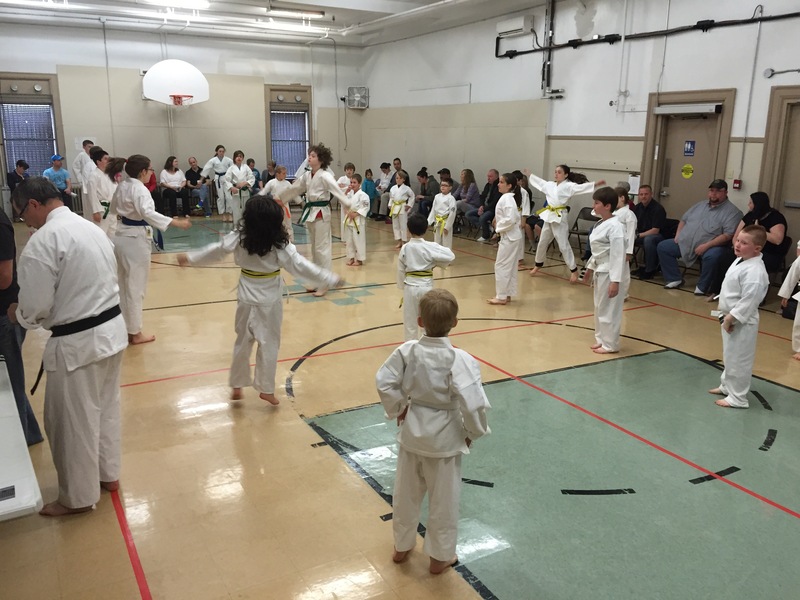 Our two clubs have new beginner classes for kids and adults this Winter. 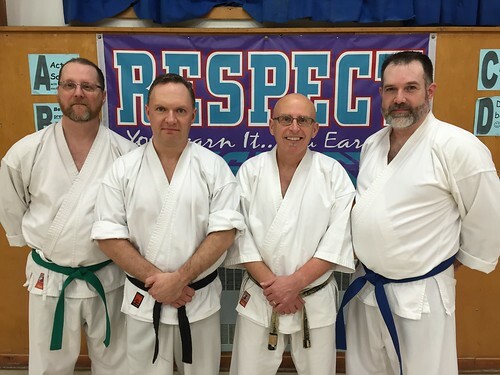 We follow the teaching of Sensei (Master) Mitsusuke Harada and are full members of his Karate-do Shotokai (KDS). Sensei was born in Manchuria in 1928. 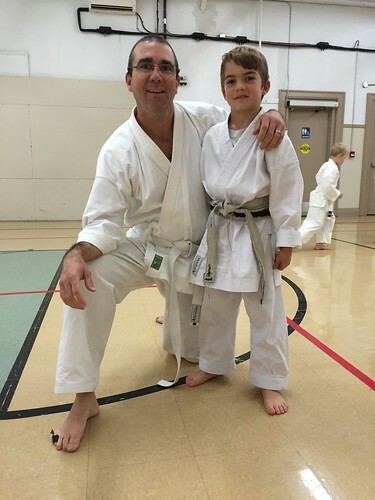 He started his karate training with Master Gichin Funakoshi in Tokyo. For more information on Sensei click here. It was in 1967 that Harada Sensei formed the Karate-do Shotokai (KDS). He remains the overall instructor and technical advisor to the organization’s executive. Harada Sensei now resides in Cardiff, Wales England and continues to teach and travel around the world for seminars. 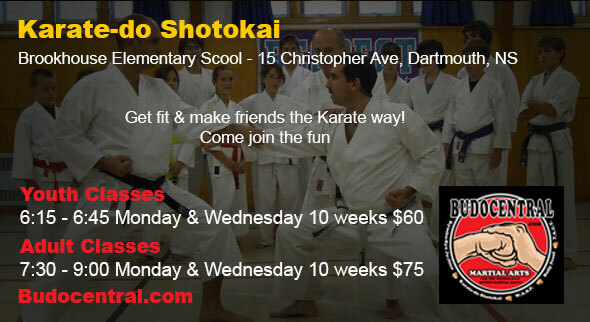 We only have a few spots left for youth and adults in our Ju-Jitsu and karate programs...... We train at the North Woodside Community Centre at 230 Pleasant St. in Dartmouth. Our waiting lists for Ju-Jitsu, Karate and WASP are growing fast. New students need to register now. Summer 2016 has been an amazing summer for Johanne, but I always look forward to the fall term. This is the term were kids return from the summer break excited, and ready to go. I love watching our returning students to see how tall everyone has gotten during the break. I often wonder who is more excited the kids or me? The fall also, is one of the three times a year we take new students and I love to see the excited but nervous kids (and adults). They often are worried about the instructors and how hard or tough it might be. 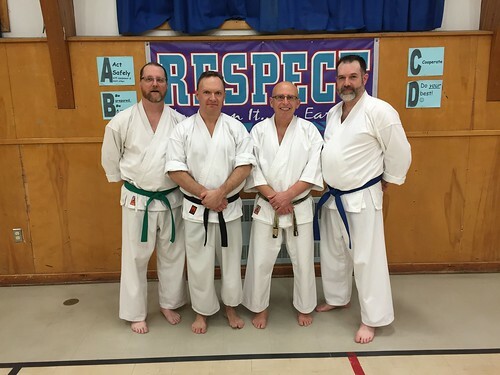 I am very proud of the instructor groups, we are not militant nor are we a push over, we have a lot of fun with the kids and we ask the adults to push themselves but not to the point of being hurt. 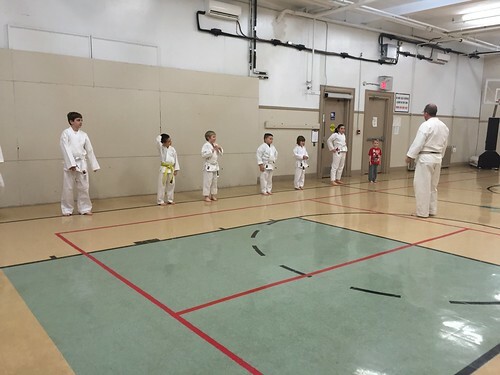 It doesn’t take long before the new students settle in and start their journey on the martial arts path. 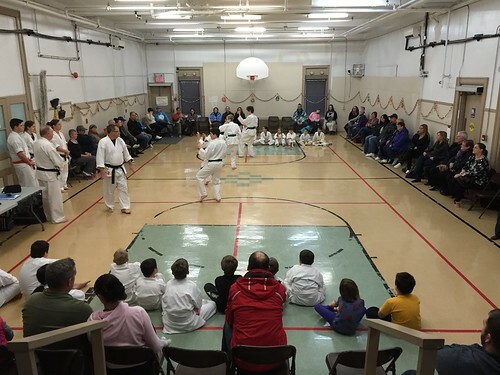 Many people have a hard time getting their heads around the idea of non-competitive karate and assume that if you practice karate you must enter tournaments. After all, isn’t karate a sport? 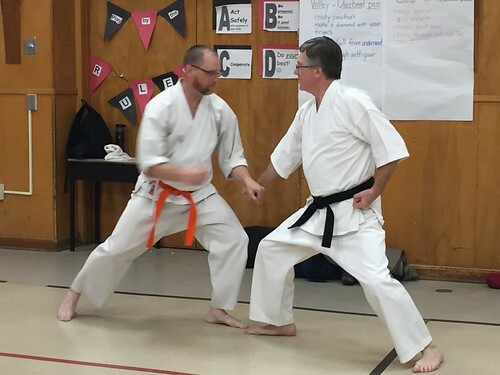 Karate was originally developed as a method of unarmed self-defence, not a sport. 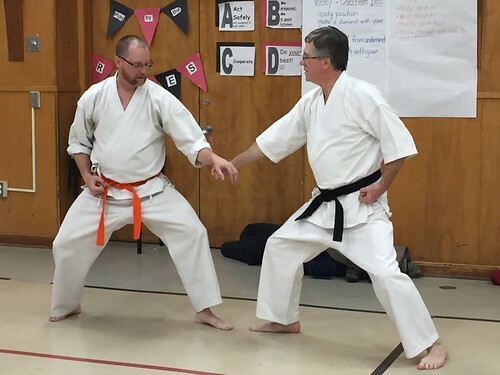 In addition, over time many teachers realized that there were other benefits to be realized from the practice of martial arts beyond the ability to defend oneself. 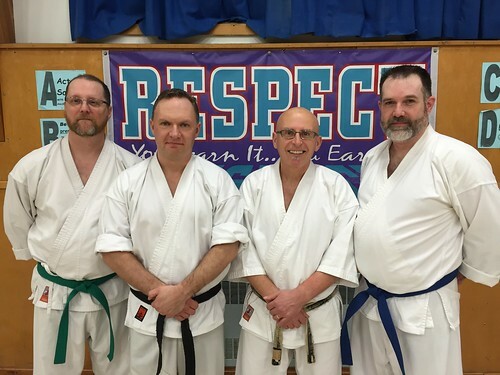 People who trained in karate for a number of years could learn to be more relaxed, calmer and more focused—not to mention more fit. While it is true that most of us have a certain amount of competitiveness in us, that doesn’t mean that every activity has to be turned into a tournament. We can be competitive without participating in a tournament. 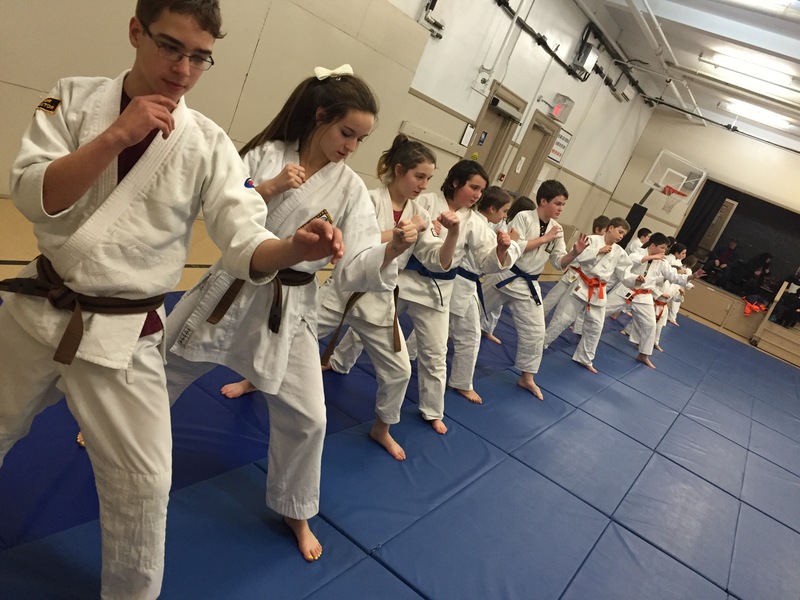 One can train or practice an activity without the need for trophies —whether it be karate, playing a musical instrument, running, or what-have-you. Skills can be developed and the activity enjoyed and loved without egotistical symbols. 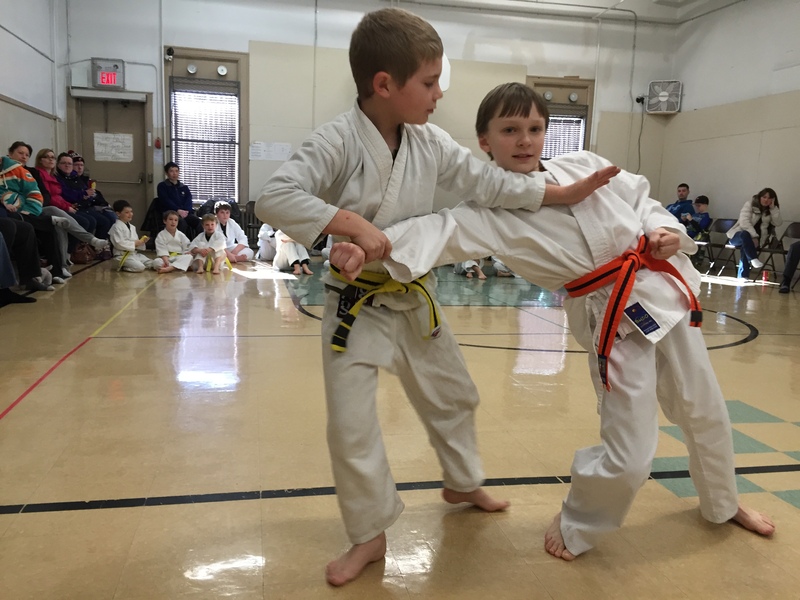 There is nothing inherently wrong with martial arts competitions, but it becomes a problem when too much emphasis is placed on tournaments and commercialism so that winning becomes the primary goal. This also frequently goes hand-in-hand with the glorification of violence. 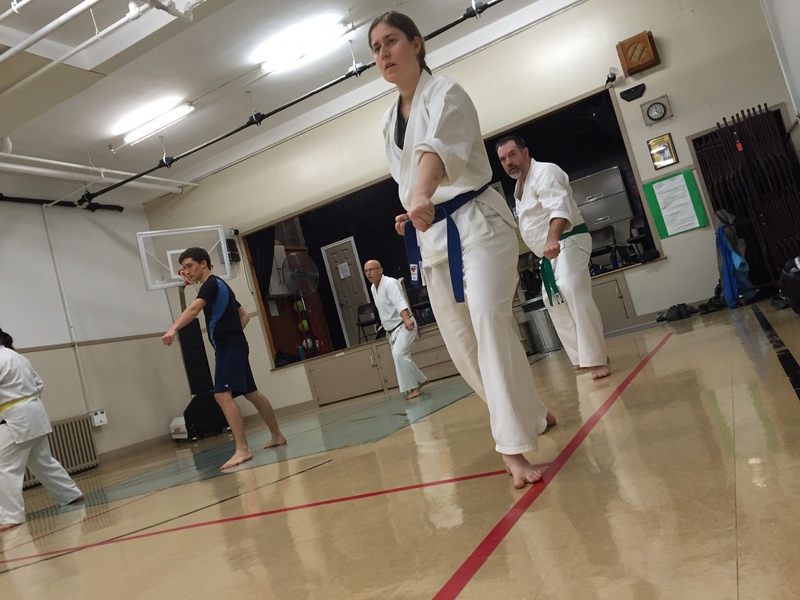 Karate practice without the tournament element can be a rewarding and fulfilling activity. 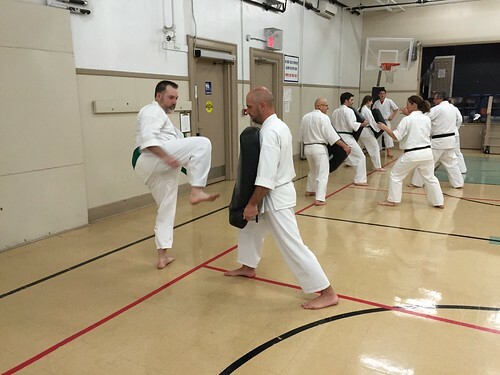 There is time to fully study the techniques, allowing yourself to practice and learn with your training partners, rather than fighting, a joy in developing ones skills and improving. Older or less-talented students don’t get pushed aside in order to focus on the most skilled students who can win trophies for the club. And as we get older we can continue to train and develop our skills, not merely being relegated to coaching. In the KDS we believe that karate is not a competitive sport but rather a life-long activity with an ultimate goal of self-improvement. At some point in a martial artists career whether they are youth or adult, something just clicks. It’s magic really and when “it” clicks, the learning and progress goes through the roof. The “it” is more mental than physical and anything physical is more effort than talent. “It” is a point when the martial artist pushes through frustration, exhaustion and muscle fatigue. They discover great joy in pushing beyond what was once thought their limit. I love seeing my students find “it”. As an instructor it’s so rewarding but in the end I can only guide them, it’s up to the student’s self discovery to make things click and find “it”. 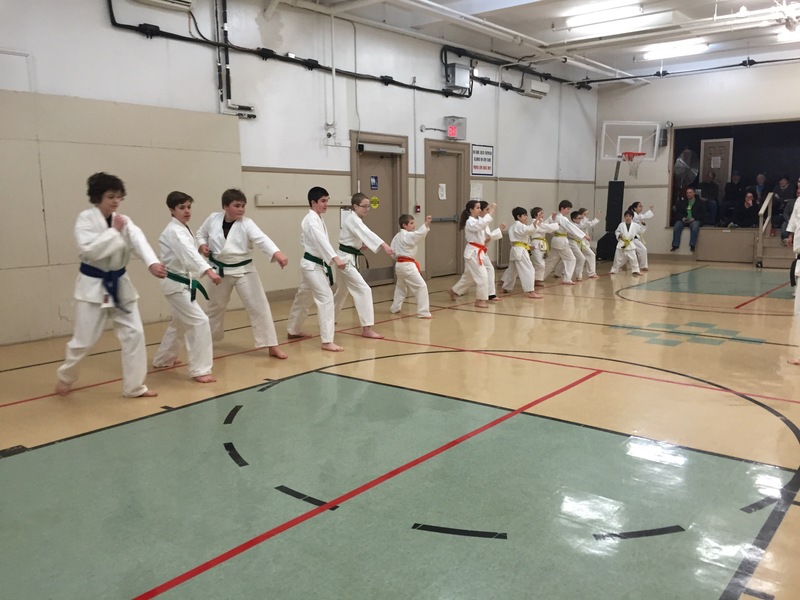 Our first youth Karate-do Shotokai of 2016 was a class of fun and review. 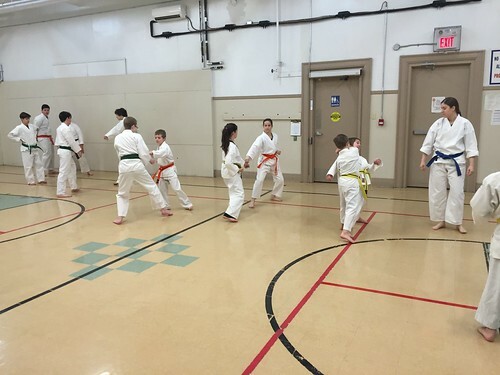 The kids had a blast as we played “Sensei Says” and other fun active games.